Located at the southern end of town Fitzpatricks Inn was opened in 1833 as the Commercial Hotel. 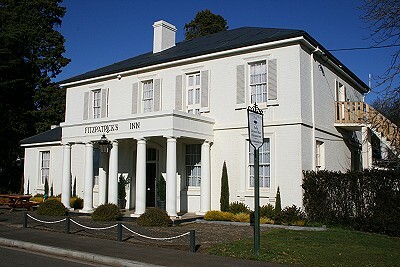 It was the first hotel in Westbury. In the 1890s it was acquired by the Fitzpatrick family who renamed it Fitzpatricks Hotel. It remained in the family for a century and gained a reputation as a fine hotel. 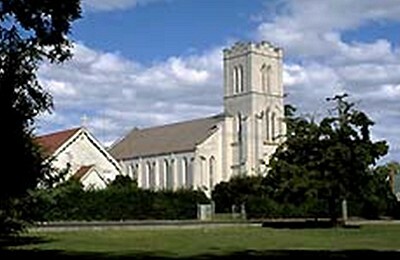 Directly opposite the Village Green and dominating the landscape is St Andrews Anglican church which was built between 1836 and 1890 - the foundation stone was laid in 1836, the church was consecrated in 1851, the tower was added in 1859. 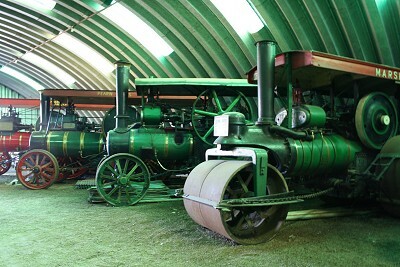 Pearn's Steam World has over 100 steam engines ranging from trains to complex pieces of agricultural equipment. 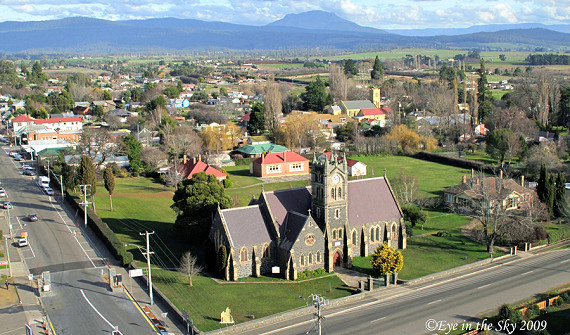 It is reputedly the largest collection of steam engines in Australia. The Westbury Maze complex consists of a traditional hedge maze made from 3000 bushes with 2 metre high sides and its paths cover a distance of over 1 kilometre. All of this is complemented with a formal garden courtyard.